Miss Kansas Teen USA 2019 was held on 25th November 2018 at the Kansas Star Event Center where Hannah Marie DeBok was crowned the new queen by her predecessor and the outgoing Miss Kansas Teen USA 2018 Hunter Fraley. The 18-year-old Kansas beauty hails from Olathe and is currently in Olathe West High School where she will graduate from in the spring of 2019. Having always excelled as an Honor Roll student, when she graduates, she will already have more than an entire year of college finished thanks to dual-credit coursework. Hannah plans to attend Loyola University – Chicago in the fall of 2019 to begin her Bachelor of Science Degree. After that, she will pursue her education with a Masters of Science in Nursing Degree to prepare for her future as a Forensic Nurse. Being an avid traveller, Hannah has been to 16 states and 10 different countries. She loves sight-seeing and experiencing different cultures. Church and her faith are also an important part of her life through which she maintains her healthy spiritual connection. Hannah’s pathway to pageantry began when she was merely nine years old and was scouted by an International Modeling agency for her ‘great eyebrows’. She also loves Performing arts and her hobbies include dance, singing and playing instruments such as guitar and piano. Her on-stage comfort comes from theatre and performing arts which also taught her a lot of public speaking skills. Hannah has also started a program ‘Hannah’s Hope’ on her social media that helps improve the lives of those impacted by sexual assault and educate on how to prevent sexual violence. Through her education and degree, Hannah wishes to continue to help victims of violence as Forensic nurses provide care to victims of violent crime, abuse, or neglect while gathering evidence to support law enforcement. Aside from all her accomplishments at such a young age, Hannah is still a typical teenager and loves to be an active student in all the activities at her school. She loves to spend time with her family and friends. 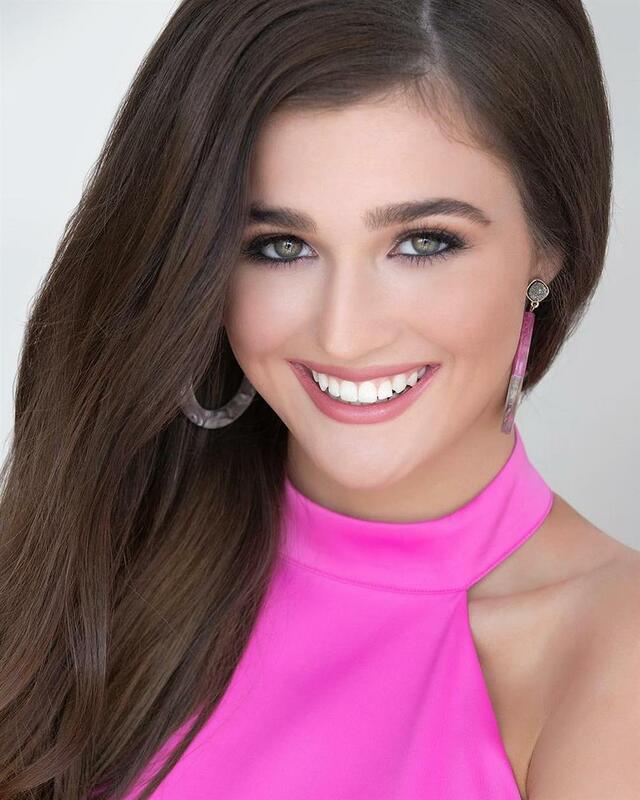 Being Miss Kansas Teen USA 2019, she is ready to show what ‘Confidently beautiful’ emulates and will definitely be a strong contender for Miss Teen USA 2019 title.